EDIT: This table has been updated to reflect corrections in the atomic weights of iron and gallium. 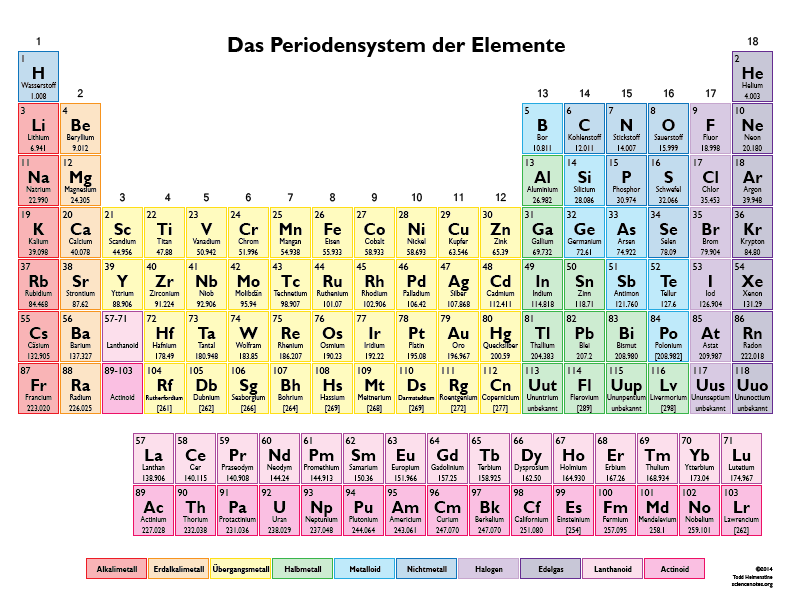 The updated table can be found at German Periodic Table – Farbperiodensystemsder Elemente – 2015. This color printable periodic table is useful for those who need a Periodic Table in German. In addition to the element names in German, each element has it’s atomic number, element symbol and atomic mass. For easy offline printing, this table is available in PDF format here. When printing, choose Landscape and Fit for your options. For those without access to a color printer, there is a black and white version of this periodic table here.